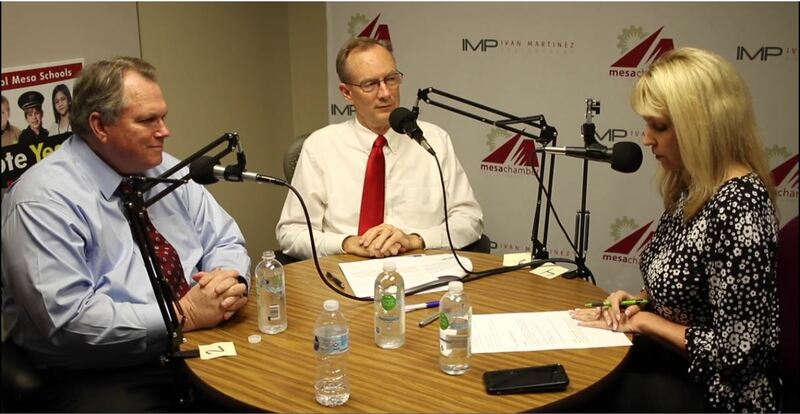 Mesa Chamber of Commerce CEO Sally Harrison spends time with former Mesa Mayor and current Valley Metro CEO Scott Smith and Mesa Public Schools Boardmember Steven Peterson in this edition of the Mesa Chamber Inside Business podcast. They discuss the current Mesa Public Schools Bond Override on the 2018 November 6 ballot. The Mesa Chamber of Commerce has endorsed this overrride.